I have 3 of these and think they are wonderful. 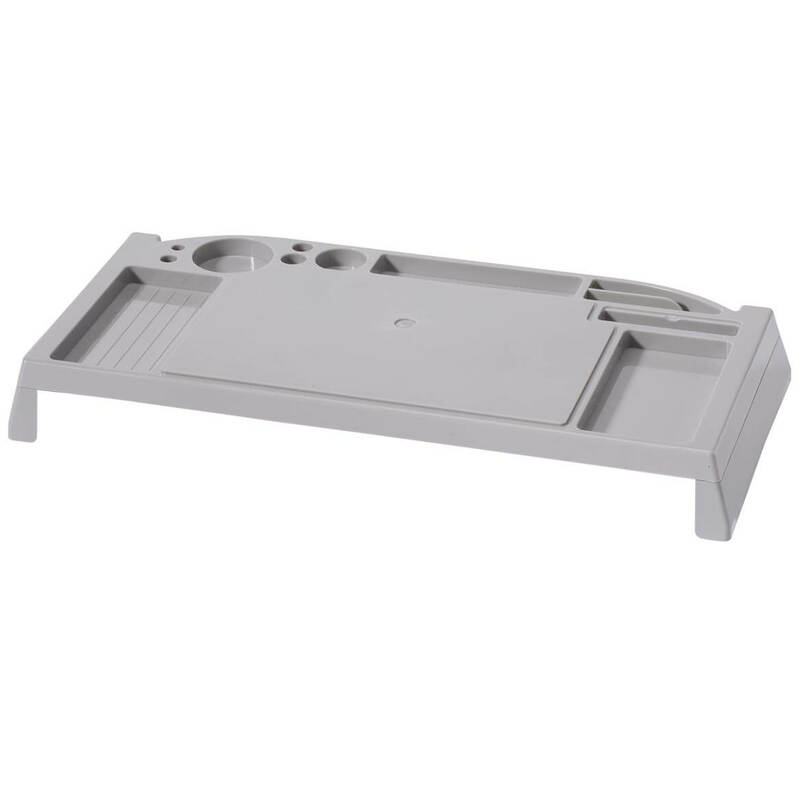 You can either slide your keyboard under the stand or if you have a pull out keyboard under your desk, you can put a tray under for small items. I ordered this for my desk at work awhile ago. Fits my computer fantastic. All my pens and desktop accessories fit as well. A couple of coworkers were interested. Thought I would surprise them with one. I wanted a place to hide my key board when it's not being used. There's a place for the things I use the most. I needed to get my computer off my desk to free up room when I need to write. This computer organizer looks like it will do what I want it to do. 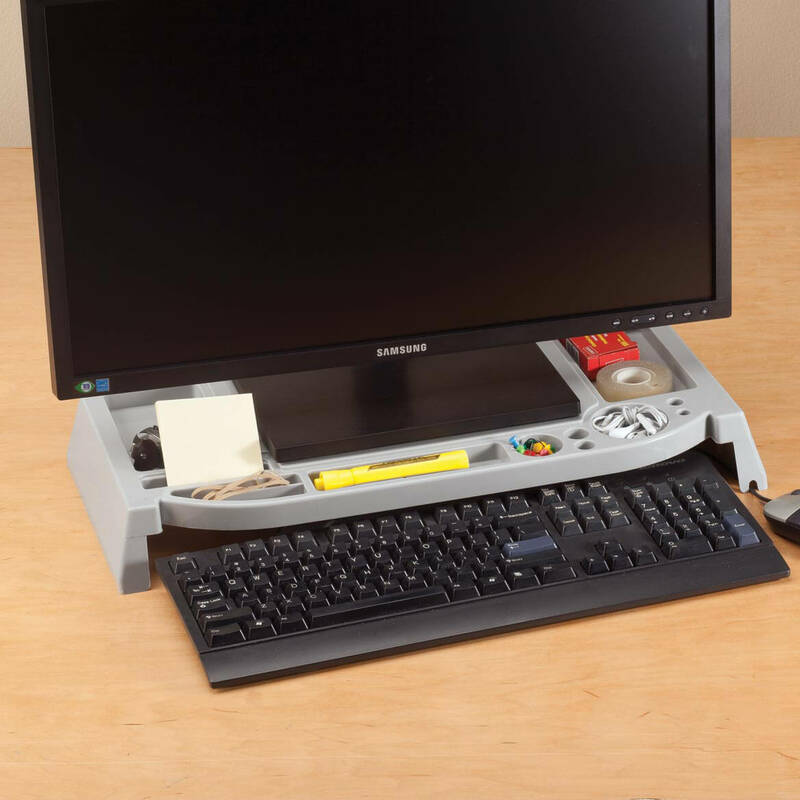 I ordered one of these for my desk because of limited space. It's a good organizer and space saver. Especially love the feature that allows me to store the keyboard underneath the stand where it is out of the way when not in use. My husband wants one for his desk as he has seen how handy it is so that's why I am ordering another one.